Wait a minute. Am I saying that you can somehow load a VST effect plugin, or VST instrument into VCV Rack and act like it’s just another module? Yes. Yes I am. 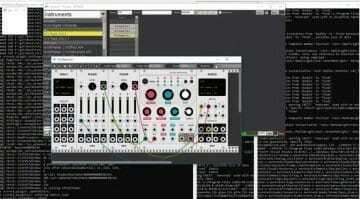 Watching the continuing development of VCV Rack is pretty extraordinary. 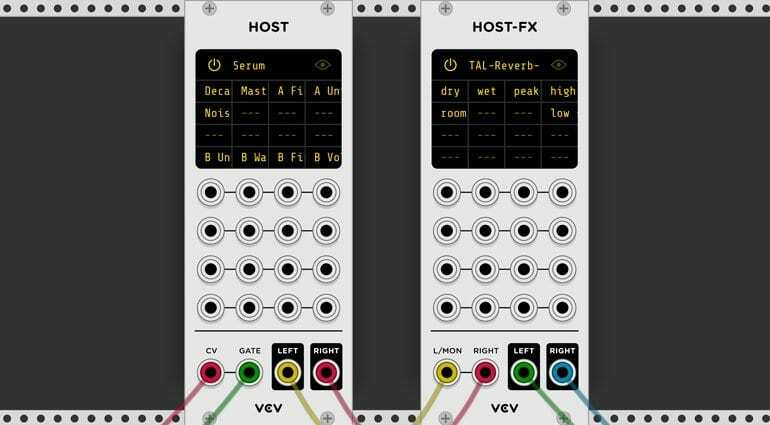 It first emerged just over a year ago on version 0.3.0 – now it’s on 0.6.2 and while there’s still no sign of an official release this beta virtual Eurorack environment has already expanded beyond all expectation. The latest piece of complete magic is that you can host VST plugins. And not just effects either, it’s instruments as well. They load up in a sort of generic Eurorack module with CV/Gate input on instruments and Left/Right inputs on effects and then a patch bay of 16 assignable CV controller inputs for messing about with parameters. This is completely genius. The instruments only allow for monophonic playing at the moment due to the nature of having a single CV inputs but you can achieve a bit of strumming like you would with Rings or the 2HP Pluck if you play fast enough with a long release. You can of course access the full GUI of the plug-ins but you really want to be playing with those 16 CV inputs in the rack. Assignment is done with a simple MIDI learn style mechanic or you can right-click and assign. 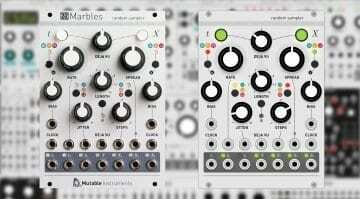 So how well do virtual instruments operate in a Eurorack environment? Well, I think you should go and find out. VCV Rack do note that VST plugins are not expecting the speed and resolution of control voltage – they are designed for the 128 values of MIDI. So if you are using audio rate modulation you may run into some strange behaviour – but that’s the sort of thing we like. 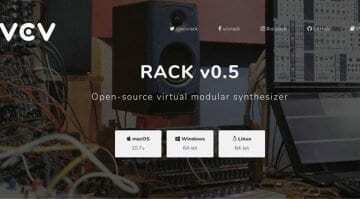 VCV Rack is still free and open source and everyone should be playing with it. WOW! Serious game changer. Better still, it’s free to all.